Web design has gone through radical changes over the last few years or so. Some SEO web design trends like minimalism seem to be practical and are helpful in boosting any website’s SEO score. Other patterns like image layouts could be having the opposite impact. SEO web design does not necessarily mean incorporating new or any additional plug-ins or reformatting your website entirely. Rather emphasis would be on optimal user experience not just for one device but across all devices. 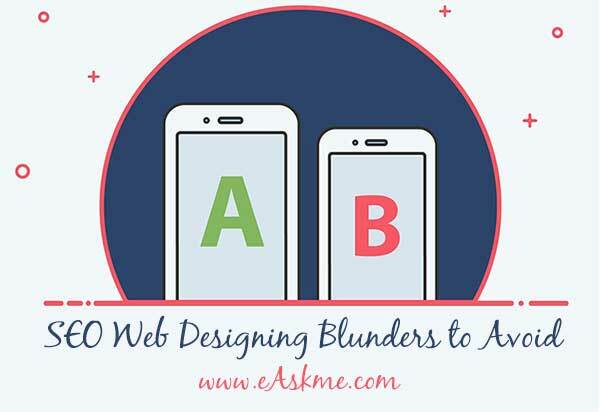 Here are some SEO web design blunders to avoid. No comprehensive Search Engine Optimization design strategy could be completed successfully without incorporating the right keywords. You need to strive relentlessly to target the correct keyword. Without the proper keyword, your website would have to come face to face with a challenging situation. You must adopt all the right SEO practices. It is quite challenging to zero in the correct keywords. It may often necessitate several hours of research that is to be followed by the trial and error method. Once you can determine or identify the correct keyword, all the SEO endeavors would not go to waste. You could get started using free tools such as Google AdWords. You could get in touch with the experts at Sand Crest SEO.com for effective SEO solutions. The whistles and bells that are visible on your website on a desktop might not be noticeable on any mobile device. It implies that your site is not mobile-friendly and needs to be optimized for mobile devices. 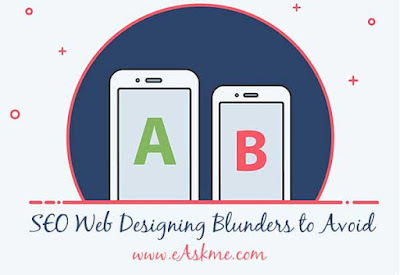 Your website must display correctly on mobile devices and if it fails to do so, then bounce rate is bound to go up. Moreover, you would be penalized by search engines. A perfect SEO web design would be having less to show. This implies that you must abstain from using oversized images and even too large media files. Search engines would be happy with responsive websites that take very little loading time. If your web pages are too slow to load, you would be surely penalized by the search engines and eventually lose traffic. The most effective way of finding a solution to this issue is by using smaller sized images and media. The visitors do not go to your site to see some high-resolution stock pictures. They are only interested in exploring the services and products that you are offering. It is a good idea to avoid any media files or images that are too large. This way you could ensure faster loading time for your website. Having a site with slow loading time is probably the most significant obstacle to success. Search engines prefer places with faster loading times. That merely is because Internet users do not prefer sites that take longer to load. It takes a lot of effort, patience, and dedication to implement a perfect SEO friendly web design. However, now that you are aware of some of the common mistakes to avoid, you could make all the necessary tweaks and follow the best practices. In no time, you would observe that your bounce rate is dwindling and your traffic is going up. Author Bio: Emily is a freelance content writer. She has written many excellent and informative articles on different categories such as technology, health, fashion, beauty, education, career, travel, etc. She is very responsible towards her job. She loves to share her knowledge and experience with her friends and colleagues.